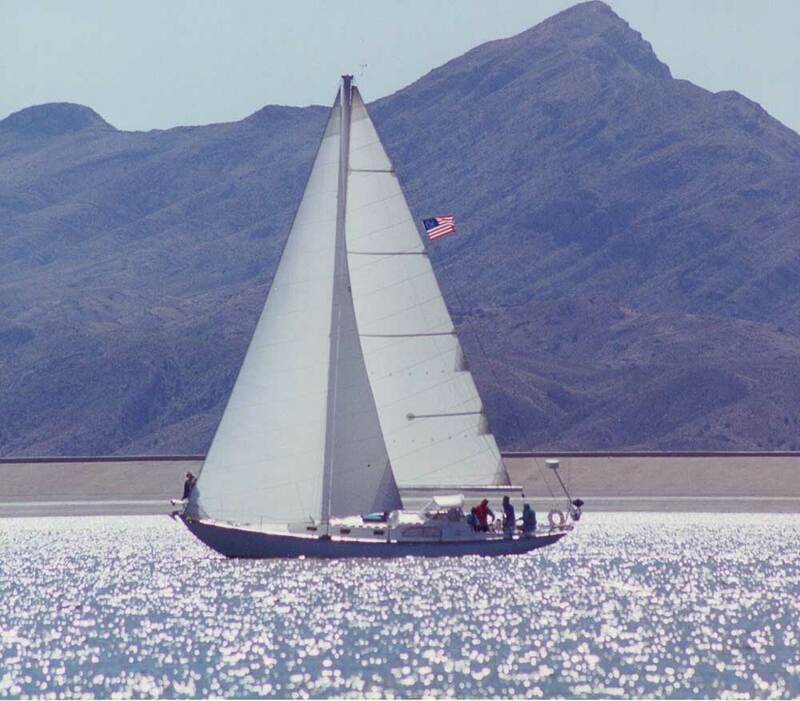 In 1998 Steve and I purchased a Rhodes Bounty II in Seattle, Washington, and then moved her to New Mexico to get her ready for full-time cruising. Our sailboat is named "Linda" which means "beautiful" in Spanish. She is hull no. 9 built in 1957. 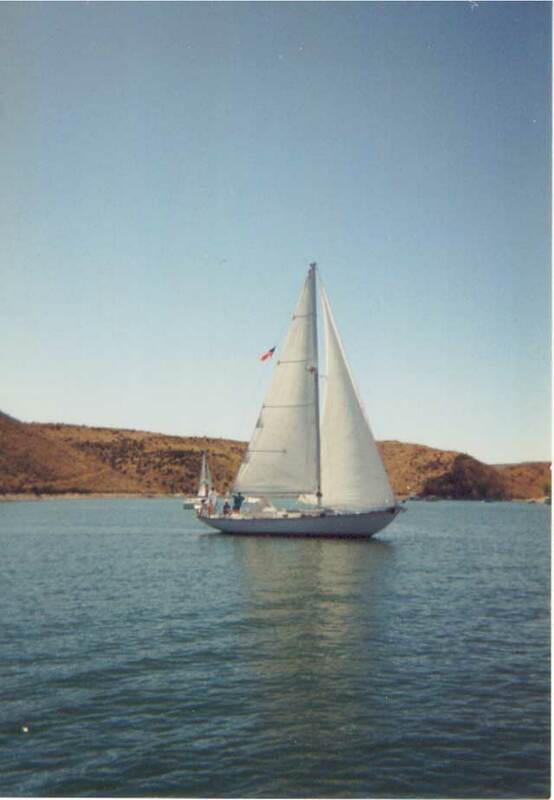 We put her in Elephant Butte Lake in New Mexico where we spent five years rebuilding the interior. We completely rewired the boat and installed new electrical panels; remodeled the head, the v-berth, and the galley; built cabinets in the main salon, the v-berth, and the galley; replaced all the interior laminate; installed an Espar heater; and rebuilt the refrigerator. In January 2003, we moved her back to Anacortes, Washington, where she was repainted and re-rigged. In May we put her back in the water and she was ready to go. On August 1, 2004, we moved aboard. We have sailed in the San Juan Islands and the Gulf Islands before, and we enjoy the area very much. We spent a year in Anacortes, Washington, and on May 27, 2005, we left for Alaska. After spending the summer exploring the Inside Passage all the way to Juneau, we made our way back to Washington and then south to Mexico. Our cruising log gives information about where we have been and the lessons that we have learned along the way. To read descriptions and see pictures of the projects, click the projects hyperlink. Click one of the options below to navigate the web site!